9x12, xxv + 120 pp. This edition, prepared from source material preserved in Turin (Foà 27 and 28) and Dresden (Mus. I/J/7), demonstrates Vivaldi's skill as a vocal composer. 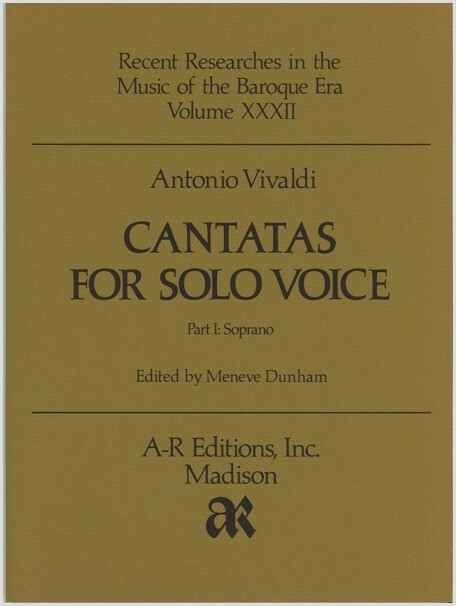 Some of these solo cantatas are scored for accompaniment by an obbligato instrument in addition to the continuo.